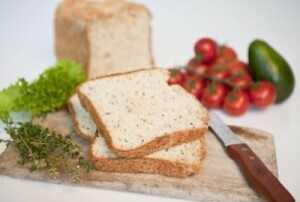 We are serious when we say our gluten free bread mix makes delicious loaves that are crunchy on the out sides and soft ‘n’ fluffy on the inside. 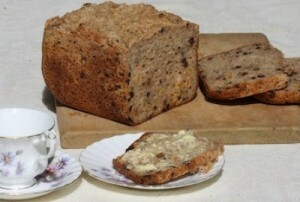 This fruit loaf is lovely on it’s own with a cup of tea or toasted for a warm snack. An old favourite enjoyed by all. 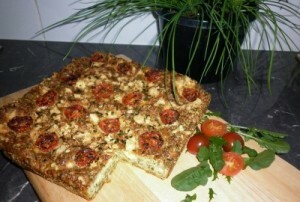 By request, the Live Free Gluten Free recipe for a Gluten Free Pizza Base. 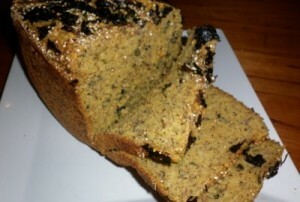 LFGF Herb and Pumpkin loaf topped with seasweed, sesame seed and fresh Corinda. 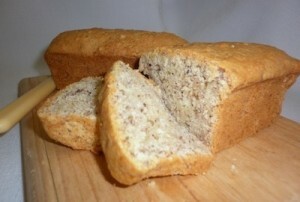 Scrumptious gourmet gluten free bread. 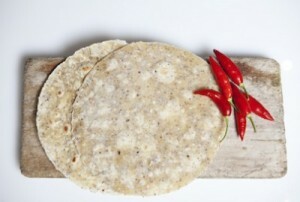 Take a trip to old Mexico with these quick and simple gluten free tortillas. Your taste buds won’t want to come home! 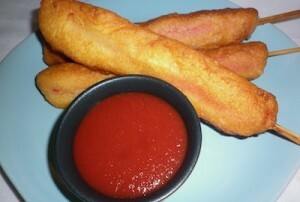 Our ridiculously easy recipe for Chicken Rissoles (“They’re Rissoles luv”) using our LFGF Chicken Seasoning mix. 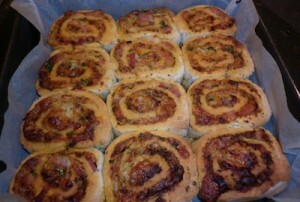 LFGF Gluten Free Scrolls are great fun to bake. 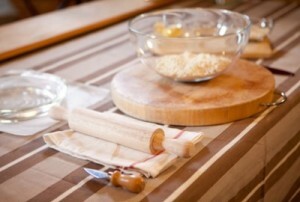 Perfect for getting the kids involved these school holidays and on cold days on the move. 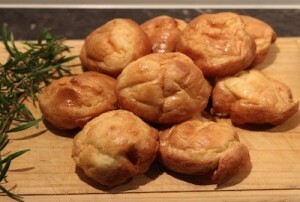 One of LFGF all time favourotes and most requested recipe. 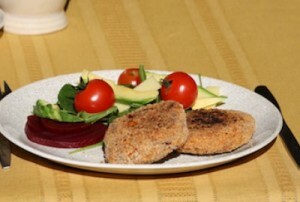 Enjoy this lovely light meal with a salad during the warmer summer months or as a winter warmer. 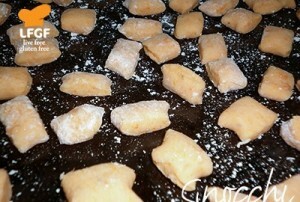 Vegan, Gluten / Egg & Dairy free Kumara Gnocchi. Eat fresh or freeze for another day (we’ll show you how to do both). An Australia Day favourite, marinated lamb kebabs. 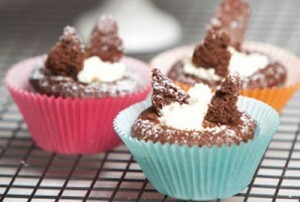 We found this recipe in the ‘Friendly food’ recipe book from the allergy experts at the RPA Hospital Allergy Unit. 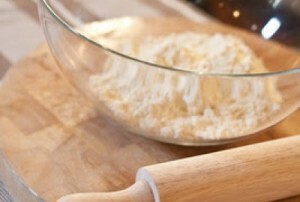 Easy and delicious Gluten, Egg and Dairy free Batter. 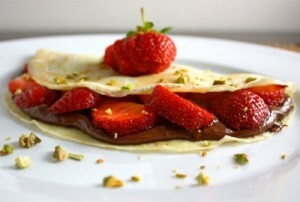 Sweet or savory, these gluten free crepes are a cinch to make and will have them screaming for more. Chomp away on an LFGF Corn Dog aka Dagwood Dog and you’ll be taken back to the fair grounds, carrying show bags and spending all your childhood pocket money on rides! 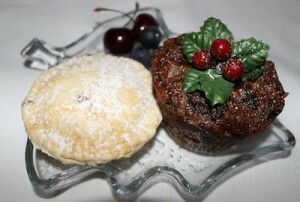 A gluten free spin of a traditional Christmas favourite that’s easy to make and easy to eat! 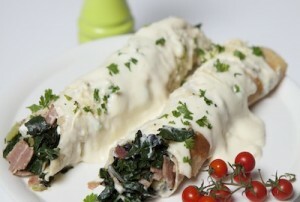 One of our favourite and most popular recipes. 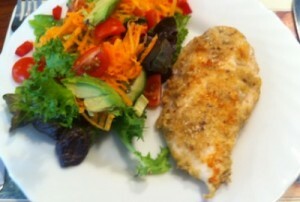 This recipe can be used to seasons any style of chicken or fish. 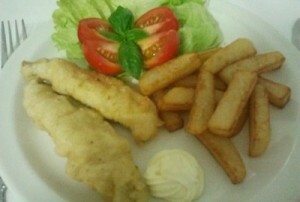 Really enjoyable as a coating on chicken breast, served with salad or chips. 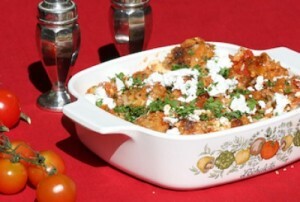 Another great recipe for these cold winter months, Chicken and Chickpea bake. If you are dairy free, just leave the feta out of your ingredients list. Freezes well. 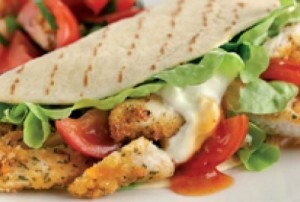 Crispy Chicken Soft Tacos are definitely a family favourite. Family sized Egg and Bacon Pie. A Vegan dish that’s enjoyable to all. 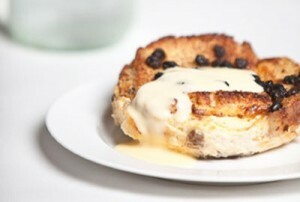 Bread and butter pudding is traditional comfort food at its most delicious. 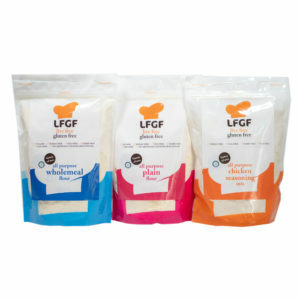 With our simple gluten free recipe, you’ll create heart warming memories your family will cherish forever. 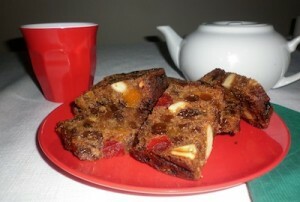 Mouth watering winter treat, with some fresh fruit thrown in for good measure! 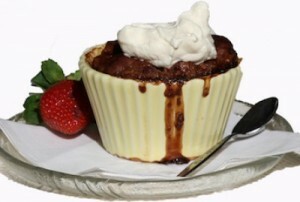 Perfect on a cold winters night, gluten Free Mocha Date self-saucing pudding. 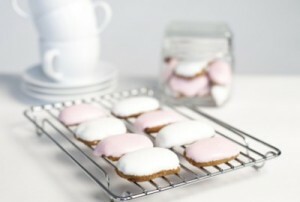 Who doesn’t remember making these little delights with their mother as a child? 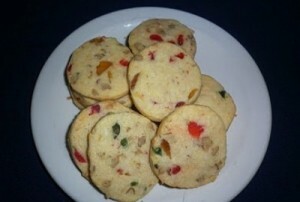 Now with this simple gluten free recipe, you can make these very same treats with your own kids. 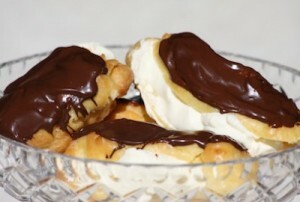 Who doesn’t love a chocolate Eclair! 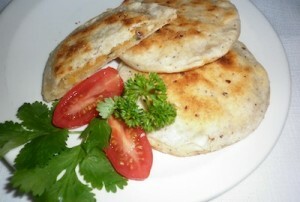 Ths recipe can also be made using egg replacements and dairy free alternatives. 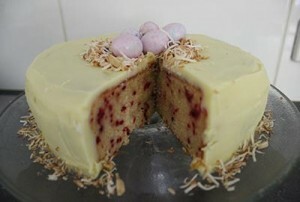 Delicious white chocolate and beetroot mud cake treat to share with the whole family! 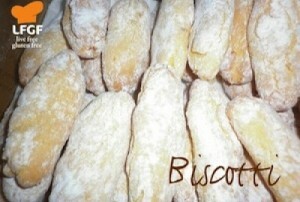 A much loved recipe for delicious Italian biscuits called Biscotti. 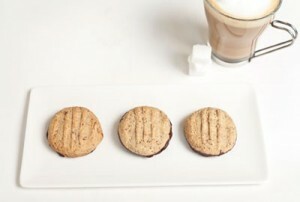 These yummy little gluten free bread chocolate robbies can be whipped up in a flash and are sure to be a winner in your home. An old childhood favourite, Gluten Free Honey Jumbles. 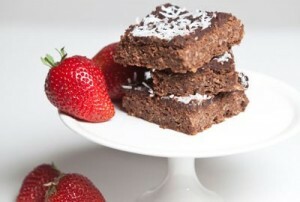 Looking for a sweet indulgence? Try our gluten free chocolate fudge bars and treat yourself to some good old fashioned heart warming yummy that won’t blow the diet. 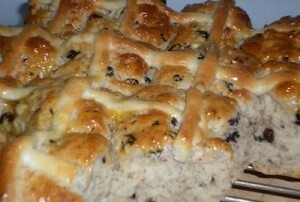 Who doesn’t love a Hot Cross Bun and a cuppa at Easter time? 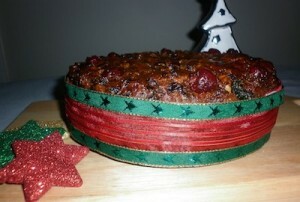 LFGF founder, Robyn Walton’s, mouth watering Gluten Free Christmas cake. Finally, a christmas favourite that tastes better guten free. LFGF founder, Robyn Walton has created an amazing, mouth watering way to bake not only a gluten free Christmas cake, but also a Vegan one.